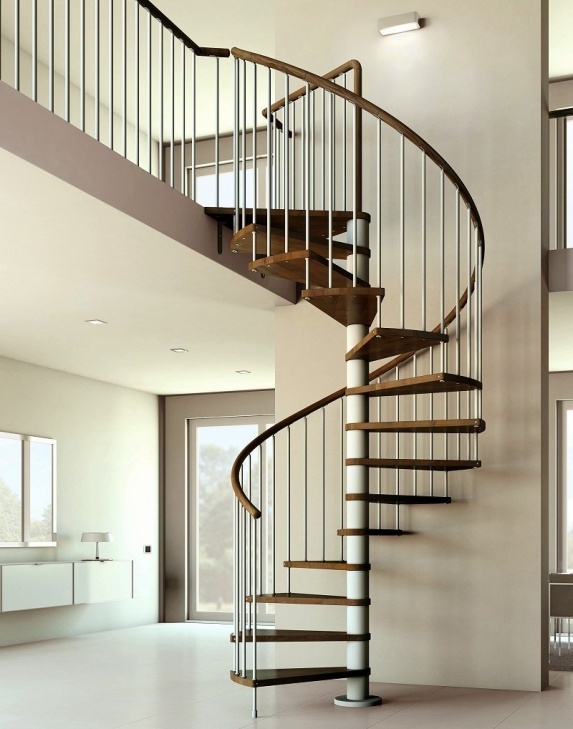 In this article we explore the variety of finishes and treatments which are available on our range of spiral staircase, space saver stairs and loft stairs ranges. Designed with customers in mind these finishes and treatments are great for décor and provide highly durable long-lasting staircases too. All of our spiral staircases are built to last and designed with the tough standards requirements of EU legislation and UK building regulations in mind. The staircase kits we supply are all made in Italy with high-quality control checks, full guarantees are available with all products we supply. Metal parts of the spiral staircases and other stairs (e.g. balusters / steel centre column risers) supplied by Spiral Stairs Direct are powder coated (such as this metal spiral staircase from Gamia). This powder coating ensures a highly durable and maintenance free finish. Spiral staircase kits come in a limited choice of colours to keep costs down and delivery times to a reasonable level. Most ranges have a choice of Black, White or Grey metalwork, with stained or natural beech treads. Many of the spiral staircases we supply have a satin varnish applied to the treads. This ensures there is a clear layer of protective coating which is also designed with heavy duty “wear and tear” in mind which will last for many years. Beech handrails and treads are available in a variety of stained finishes. Although these vary from product to product, stains are available in natural beech, natural oak, dark walnut and wenge (this is pronounced “wen gay” and is dark brown – a similar colour to espresso coffee). These are all high-quality stains which are designed to provide an attractive appearance but also to be hard-wearing. These stains make our products stand-out from competitor products and are specially designed to provide a variety of colours to suit all décor and taste requirements. 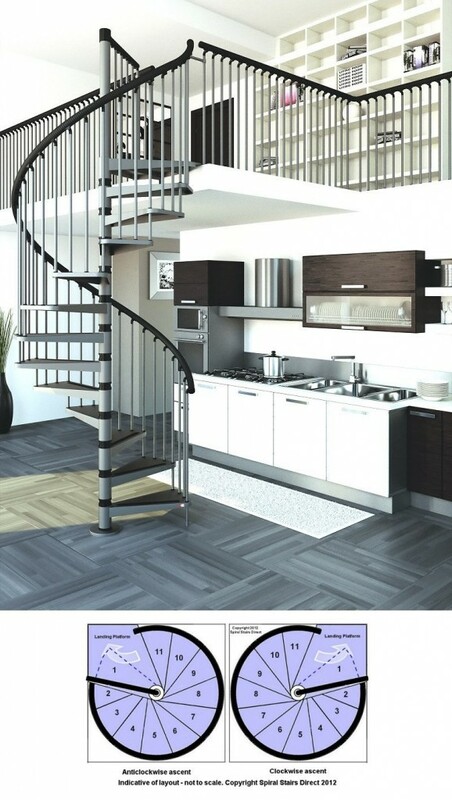 The good news is that products from Spiral Stairs Direct are supplied fully finished. This means they are fully ready to install, there is no need to stain, varnish or paint any of the products bought from us unless you really want to of course!